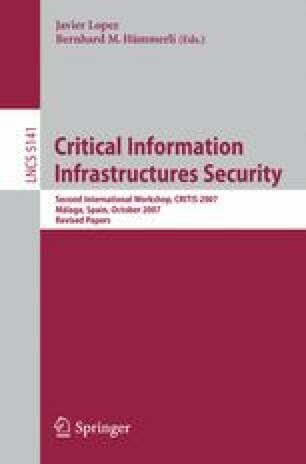 The transformation of the European infrastructure creates considerable system security challenges. GRID is a joint effort of six European research organizations to achieve consensus on the key issues involved by ICT related vulnerabilities of power systems in view of these challenges. GRID has recently issued a preliminary Road Map for future research in the area, grounded on a survey on the position of the European industrial and research communities. The survey assessed the challenges raised and the research needs in this perspective. This paper reviews the conception process for the Road Map and provides motivations for the way it is structured. It also overviews the three areas of investigation of the Road Map: understanding the impact of risk and adapting society and organisations, developing risk and vulnerability assessment and upgrading control architectures. The focus is on the needs and the challenges within each area and the main objectives of the Road Map.